This cleverly crafted and stunningly funny play is set in the annexe of a church hall, where a series of over-bookings have occurred. A wonderful mix of characters from the local community descend on the hall for a Brownie troupe meeting, a badminton game, auditions for the vicar’s wife’s pantomime and an illustrated talk on steam locomotives, each claiming their rightful place. Confusion reigns until everyone finally unites for a common cause, the production of the pantomime. Over the following weeks of rehearsals, alliances are formed and switched as the cast battle against the odds and the opening night nears. Events finally culminate backstage after the final performance at the cast party, when everyone receives their just deserts. 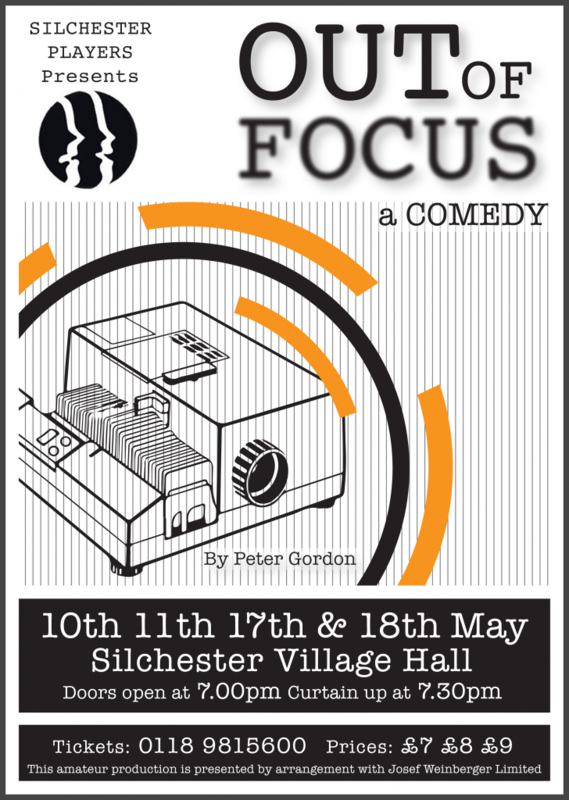 Silchester Players is a vibrant, active amateur dramatics group in north Hampshire. This award-winning group perform a variety of productions every year from comedies and pantomimes, to thrillers and whodunnits, and revues and Old Tyme Music Halls. We have a varied membership from the local community and all sorts of backgrounds, and welcome anyone from 10 years upwards.